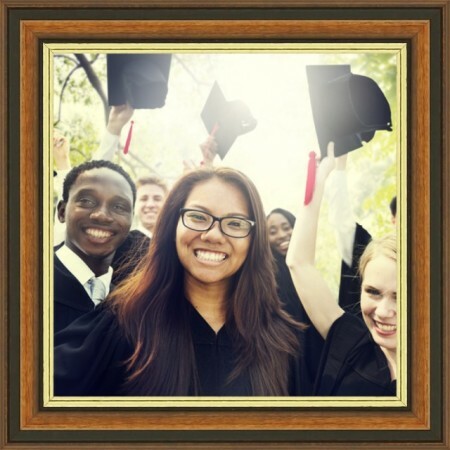 Frame everything from captures through to graduation wear with Frames Express; we custom manufacture all our frames here in the Midlands. Below are just some of our favourite ways we’ve seen graduation photos and memorabilia displayed, showcasing the day of caps and gowns. 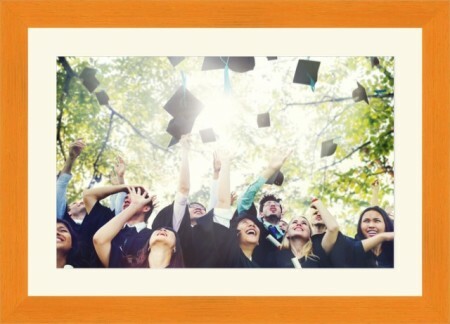 Your graduation day is something to shout about and a bright bold coloured frame ensures it does just that within your home. Pick from a huge range of styles and finishes and team up with a white picture mount for a great contemporary effect. 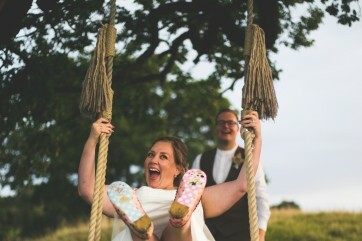 You’re bound to get some wonderful family photos on the day with all the emotions of the celebration. So why not pick a few of your favourites and display them around the home in neutral frames so you can reminisce the moments again and again. It’s not only photos you can frame. Here at Frames Express we also stock a range of boxed frames up to a depth of 80mm which are perfect for displaying memorabilia in such as tassles, certificates and sashes. 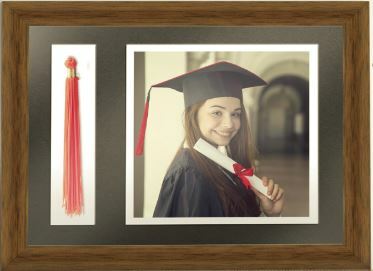 Aluminium frames are perfect for if you want to create a smart looking display of your graduation photos. 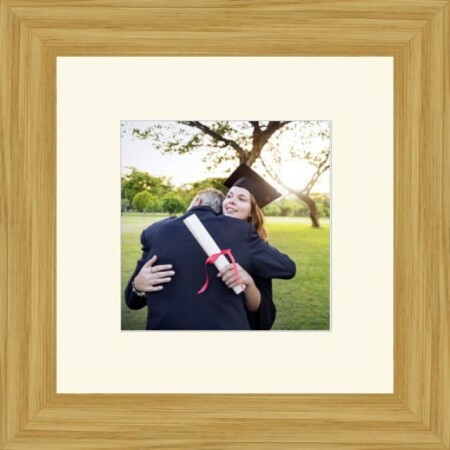 With our online designer you can create your own multiframe to showcase more than one photo at a time, the ideal gift for relatives to celebrate your achievements. Create a collage of your day using our multiframe designer. With it you can display up to 48 images all in one place making it an excellent overview of the occasion. Dark brown frames give photos a wonderful finish, suitable in any room. Make the presentation extra special with a gold lined wooden frame. Ready to start designing your frames? Click Here to design a standard frame, or here to design a multiframe.